Watch the Battle Round of Team Bamboo's Joniver Robles vs. Dang del Rosario in The Voice of the Philippines Season 2 on December 20, 2014. The four chair turner, Joniver Robles got his ticket to the Battle Rounds through his performance of ‘I Don’t Need No Doctor’. Robles shared that he already had the taste of the music industry and he never wanted to stop, yet he once caved in to vices. He thanked his mom for not giving up on him and bringing him back to his feet. 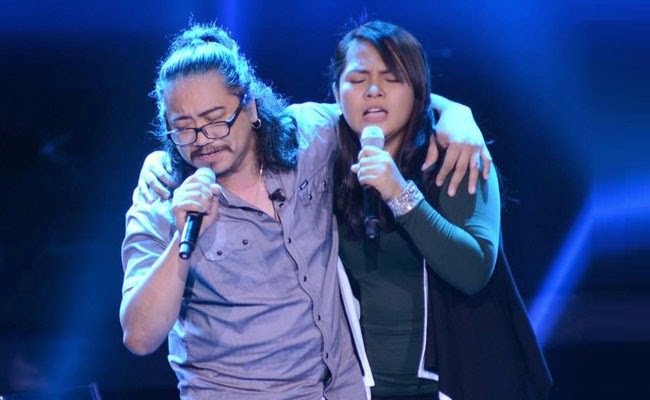 Though Dang del Rosario had been inspired by her father to brave the singing stage, she shared that she had self taught herself to sings since her father disapproves of it. A mother and wife, it is not also surprising that she is willing to brave the stage of The Voice for them. As she had sang ‘Araw Gabi’, she was able to convince both Bamboo and Lea to turn. Bookmark this page and reload to see who wins this Battle Round on December 20, 2014.